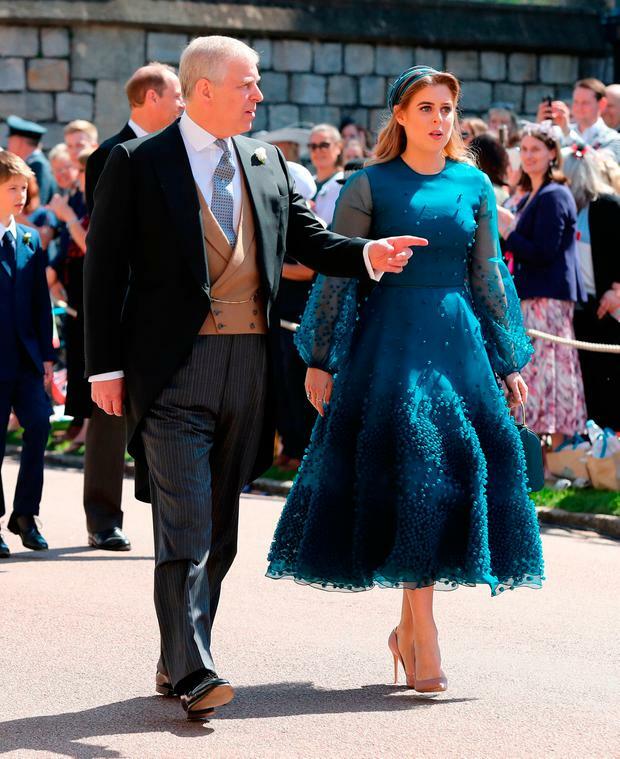 Britain's Princesses Eugenie and Beatrice went for uncharacteristically low-key looks as they watched their cousin Prince Harry wed Meghan Markle today. 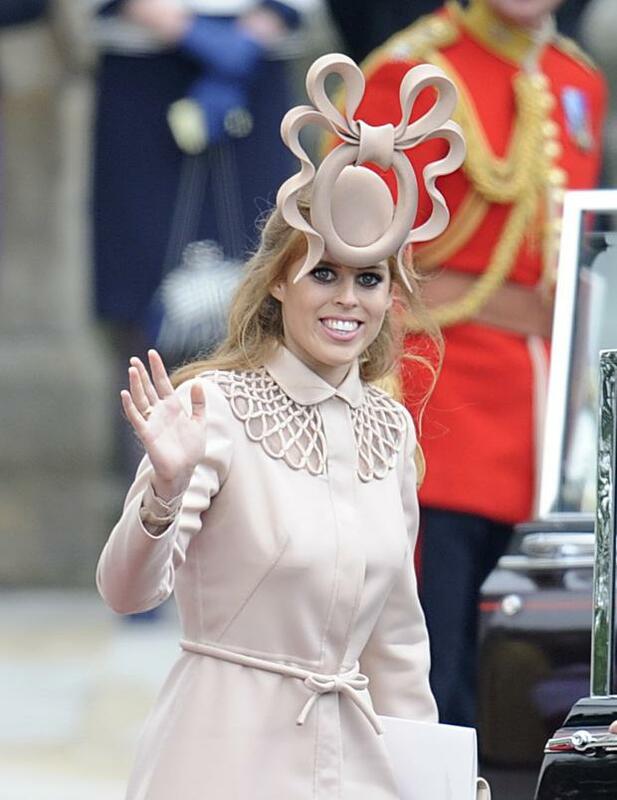 It's in stark contrast to their scene stealing turn at Kate Middleton and Prince William's 2011 wedding, when their dramatic Philip Treacy fascinators launched a thousand memes. And it is those exact looks that made the build up of what they would be wearing unbearable for some royal watchers, some cruel and some kind. 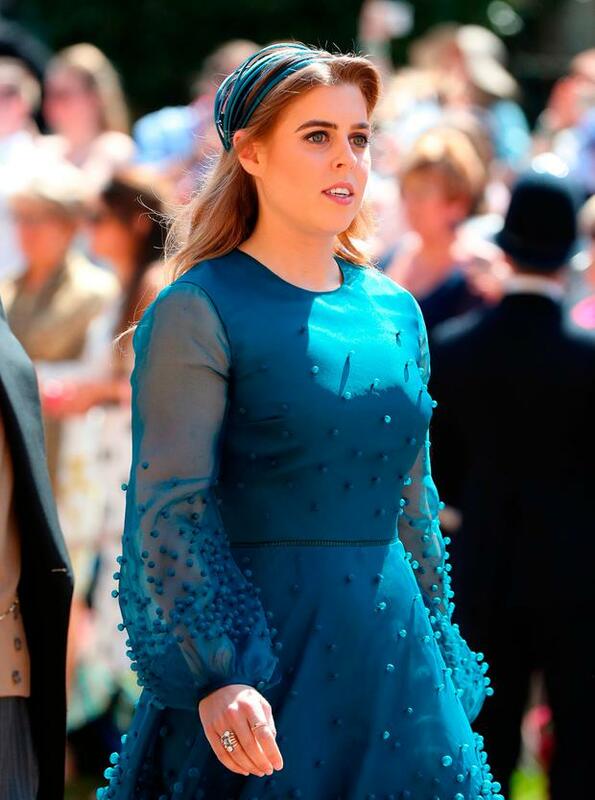 Eugenie, who is due to wed former nightclub manager Jack Brooksbank later this year in the same spot of St George's Chapel at Windsor Castle, chose a baby blue mini-dress by Gainsbourg, finishing off her look with a Jackie O-style pillbox hat by Fiona Graham and Valentino heels. 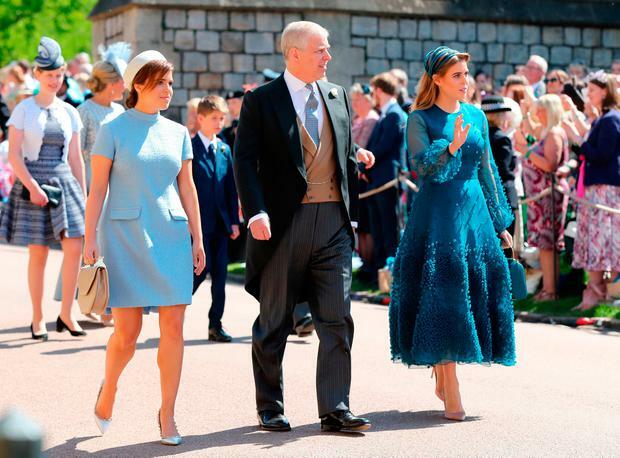 She arrived with sister Beatrice, whose cerulean Roksanda dress was the right side of demure paired with a Stephen Jones hat. 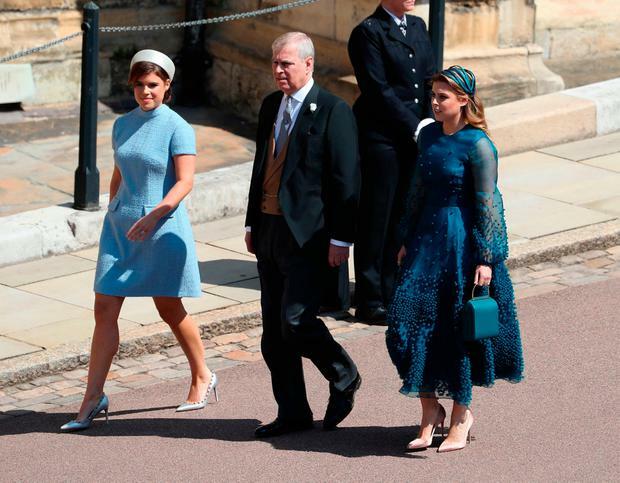 The sisters arrived alongside their father Prince Andrew. Their mother Sarah Ferguson arrived alone and was not invited to either of the later celebrations at St George's Hall and later at Frogmore House. In keeping with the women's unique taste, she inexplicably wore just one glove. Review: Was RTÉ's royal wedding coverage a hit or miss?